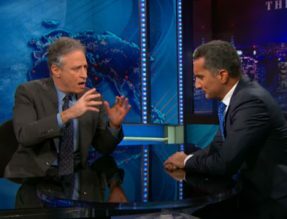 Dubbed the Jon Stewart of the Arab world, cardiothoracic surgeon Bassem Youssef created the first political satire show in the Middle East, earning millions of viewers every week. Now residing in California, he shares his wry observations on his own story, the current state of American politics, and how propaganda lays the foundation for dictatorial regimes. 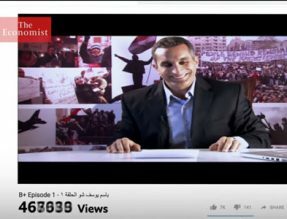 Bassem Youssef will also host a free town hall for local Arabic speakers on November 8: more information below. 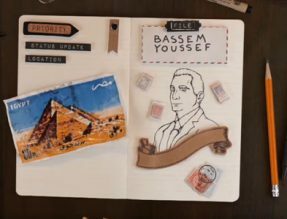 On the evening following his performance of The Joke is Mightier than the Sword, Bassem Youssef invites members of the local Arabic-speaking community to join him at a town hall-style event at CURRENT ArtSpace + Studio for a candid discussion of their experiences. Free and open to the public: RSVP here.